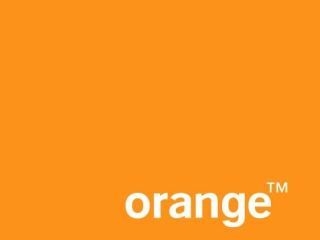 Orange has officially launched its HD Voice service in the UK, following trials of the service over the last few months. Orange's new service aims to make voice calls sound more natural, clear and crisp, which means there should (hopefully) no longer be any need to SHOUT into your mobile while you are on the bus. Users will need to have a HD voice-enabled handset from the likes of Samsung or Nokia and a 3G connection. HD Voice works using a new codec - WideBand-Adaptive Multi Rate (or WB-AMR) which increases the bandwidth of the call from the current 300-3400MHz to 50-7000MHz. It immediately reduces the background noise on mobile calls and eliminates those all-too-familiar hisses and crackles which too many of us have just come to accept as a given for mobile calling. While Orange is leading the way, being first to market with HD Voice, it is expected that all the other major mobile operators will soon follow suit. Right now, Orange customers will need a Nokia 5230, Nokia X6, Nokia E5 or Samsung Omnia Pro to take advantage of HD Voice.